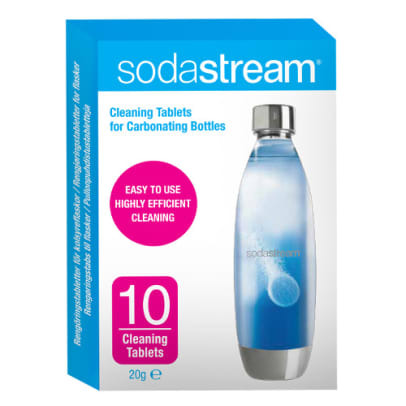 With these cleaning tablets for SodaStream, you can easily and effectively clean your Sodastream PET bottles. PET bottles are not dishwasher safe, nor can they be used with water above 50 degrees Celsius. 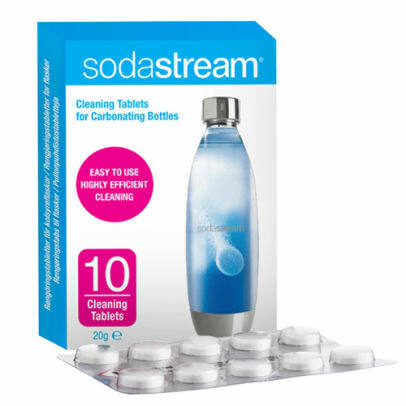 Therefore, these cleaning tablets are perfect when you need to clean your bottles. For usage, insert a tablet in the bottle with warm water (not above 45 degrees Celcius). Place the lid on the bottle, shake it well and let the tablet dissolve. 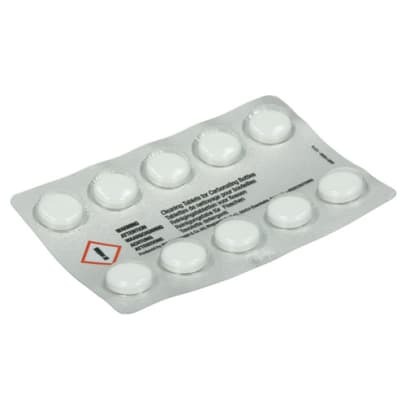 The package contains 10 tablets.